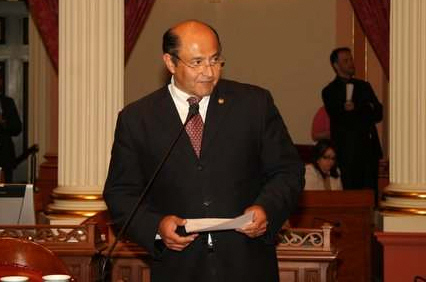 FROM ARCHIVE: California State Senator Lou Correa presenting a bill during Senate Floor Session. SACRAMENTO, CA – Today, the California State Senate approved Senate Bill 510 (SB 510), introduced by Senator Lou Correa (Orange County). SB 510 will add accountability to the managers of real estate branch offices by ensuring that managers’ licenses can be sanctioned for failure to supervise. “Consumers buying or selling their homes should expect accountability and responsibility when dealing with real estate agents. 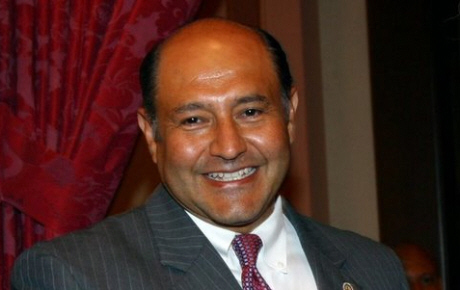 Unfortunately, many California homeowners have lost their home due to real estate transactions and wrongful acts done by unlicensed or unsupervised representatives,” said Senator Correa. According to the California Department of Real Estate, there are approximately 533,000 state-licensed real estate agents and brokers in California. Consumers rely on these licensees to provide sound advice in millions of real estate transactions annually, valued in the billions of dollars. Existing California law does not require a real estate branch office manager to supervise salespersons that report to him or her. As a result, even though a negligent manager might have to answer to his or her employing broker, the manager’s own license is not at risk for failure to supervise. The bill sets minimum standards for licensees that may be appointed as a branch office manager, and empowers Department of Real Estate to require registration of appointed managers in a form approved by the Department. SB 510 is one of the legislative recommendations of the Department of Real Estate’s Broker Supervision Task Force. The Task Force was an internal group with industry participation, set up by DRE Commissioner in 2009-2010 that looked at ways to improve the supervision of sales licensees. State Senator Lou Correa (D-34th District) celebrated his birthday today – and his present in Sacramento was a set of new State Senate Committee appointments, courtesy of his friend, Senate Leader Darrell Steinberg, according to the Sacramento Bee. Not bad! Congratulations Senator Correa and Happy Birthday!